Rome Gladiators' Constant van Paesschen and Marlon Zanotelli, will start 11th in today’s first round battle of the GCL Rome. 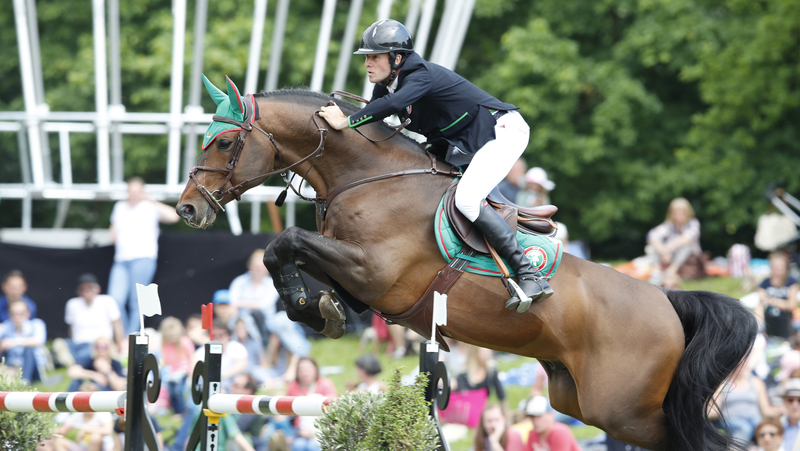 Riding Jilbert van ‘ T Ruytershof and Rock’N Roll Semilly, the team have put their best hooves forward as this combination have achieved a 66% clear round success rate during the 2018 season. The Cascais Charms, who are in the danger zone, drew the short straw and will send in Philip Houston and Rolf-Göran Bengtsson atop Loewenherz and Crunch 3 in an attempt to secure a place in the GC Playoffs. Will GCL Rome be their lucky charm. With favour on their side, overall leaders London Knights drew pole position as last to go. With a greater than 80% clear round success rate all eyes will be on Ben Maher and Olivier Philippaerts and their respective mounts, Explosion W and H&M Legend of Love, to further their championship lead! New York Empire have secured an advantageous 18th starting position that David Will on-board Forest Gump and Lillie Keenan with Fibonacci 17 must to capitalise on to advance the team to the GC Playoffs. Fibonacci 17 is making his GCL debut today, will this combination be the silver lining of the New York Empire’s 2018 season? Tune in at 15:45 local time to watch how the first round of GCL Rome plays out - watch via GC TV, or Facebook Live and don’t miss a moment!